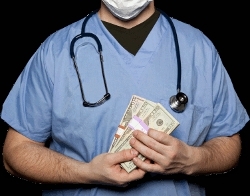 The Centers for Medicare and Medicaid Services recently reported that over 20,000 physicians and hospitals registered for the Medicare or Medicaid EHR (Electronic Health Records) incentive program, or both, in February 2012, bringing the total number of registrations to more than 211,000. Over $863 million in incentive payments was issued during February. The original CMS report can be viewed here. In related news, a recent survey indicates that small, one- and two-physician practices adopted EHRs at a faster rate than larger offices in the second half of 2011. The survey results from healthcare research firm SK&A also show that the adoption rate increases as the number of exam rooms rises at each site, and as the average daily patient volume rises at each site. An EHR such as Medisoft Clinical or Lytec MD can help medical practices achieve meaningful use and qualify for incentive payments. Microwize Technology can assist in a smooth transition to a new system.